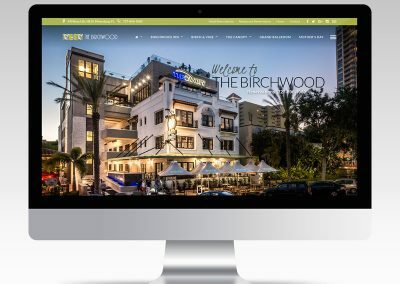 The Birchwood, formerly Grayl’s Hotel, was originally constructed in 1924 on historic Beach Drive in downtown St. Petersburg, Florida. It is listed in the National Registry of Historic Places and underwent a multimillion dollar renovation in 2013 to become an iconic destination overlooking the pristine waters of Tampa Bay. 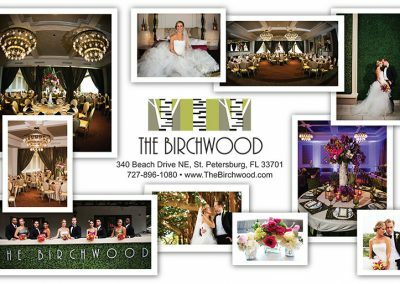 Within The Birchwood you will find The Birchwood Inn, The Birch & Vine, The Grand Ballroom and The Canopy. The Inn has 18 exquisitely decorated boutique hotel rooms. 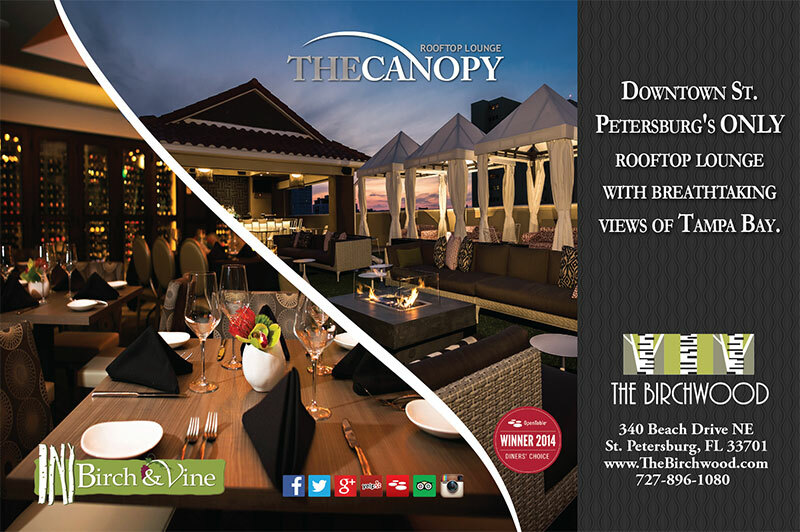 Bayshore Marketing Group designed all in-room collateral. The Birch & Vine fine dining restaurant is both unique and charming. It boasts a wine wall and meticulously selected appointments in the dining room but also offers outdoor seating to enjoy the beautiful Florida weather and the scenery of Beach Drive. All of the food served is farm to table and unique. 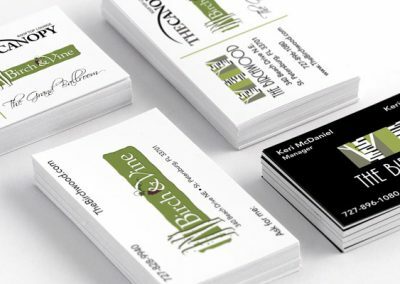 Bayshore created the logo all branding and collateral for the restaurant. 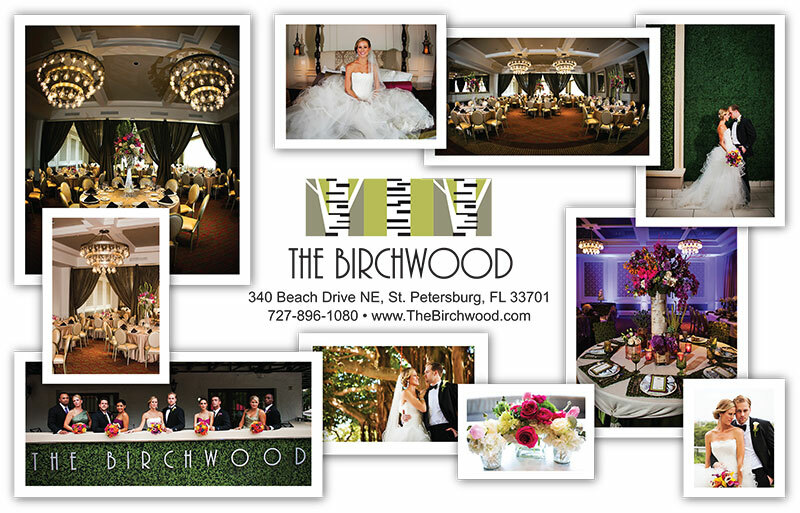 The 4,000 square foot Grand Ballroom is one of the best spots in St. Petersburg to host your event or reception. Floor to ceiling windows allow for amazing views of Tampa Bay. 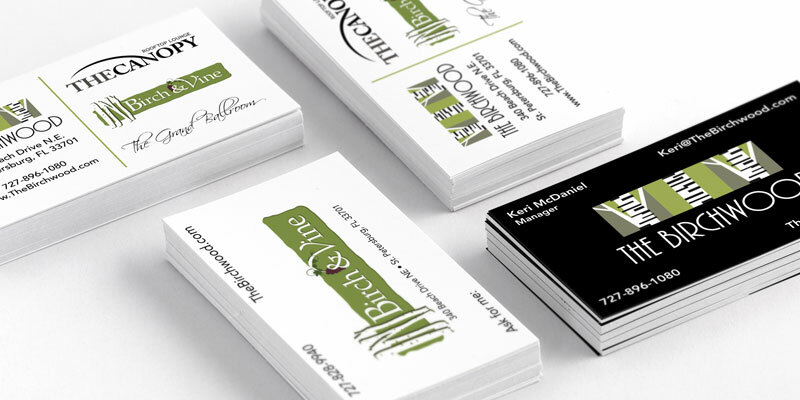 Bayshore Marketing Group designed the logo and helped collateral support materials. Now an icon of downtown St. Petersburg, The Canopy, The Birchwood’s rooftop lounge, helped to revive the entire downtown waterfront community. You’ll find nothing else like it in St. Pete. 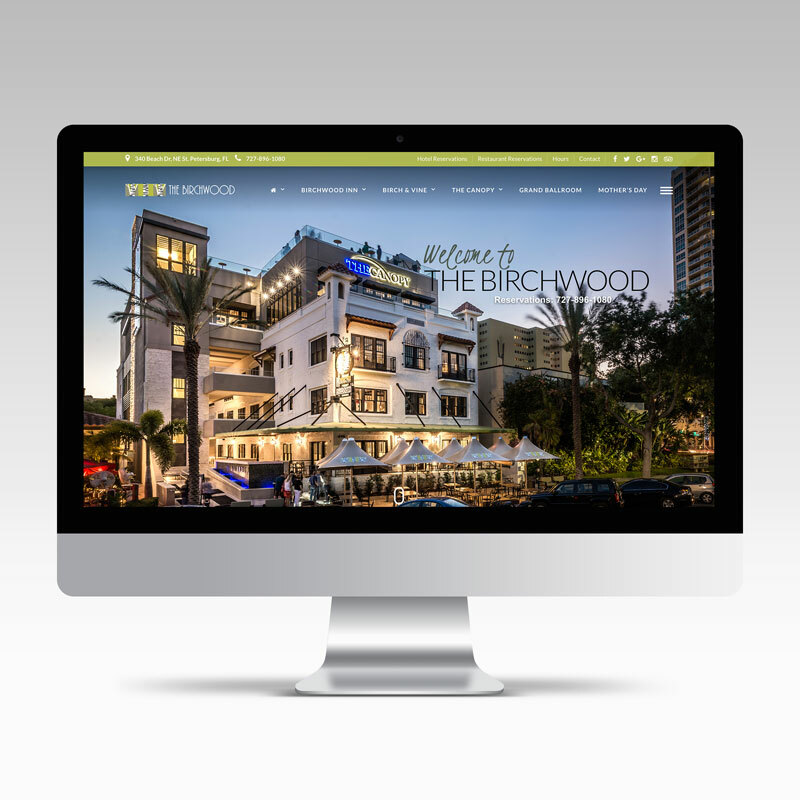 Bayshore Marketing Group developed the logo, all collateral materials and site signage.